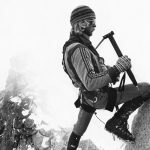 Dave Pegg, author, climber, has died at 47. 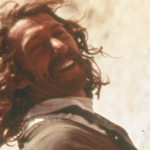 Dave Pegg, writer, climber, “semi-pro” wineaux, publisher and arguably the King of Rifle, has died. 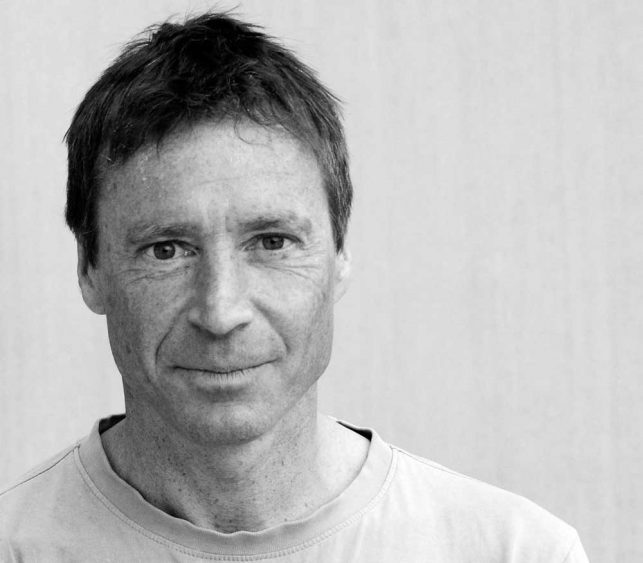 Pegg, of Sheffield, England, moved to the United States in 1996, soon after relocating to Carbondale, Colorado, to work as an associate editor at Climbing. Pegg left the magazine in 2001, and with his girlfriend, and later wife, Fiona Lloyd, settled just outside Rifle, where he climbed voraciously, wrote the guidebook Western Sloper and organized the annual Rifle clean up. The “Rendez-Spew” quickly became a Woodstock type affair that drew upwards of 500 climbers from across America. A gifted writer with a sharp wit, Pegg authored numerous magazine articles (my favorite was a hilarious review of chalk), eventually parlaying his talents to launch his guidebook business Wolverine Publishing. A slew of guidebooks that set a new standard for quality followed. 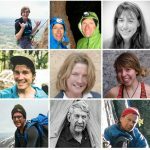 Dave published guides to Hueco Tanks, Smith Rock, the Red River Gorge, Bishop, Joshua Tree and Maple among many others. An entrepreneur, Pegg branched into other books, from cycling, kayaking and ski guides, to equine guides to parenting how-tos, though he had no children himself. He was one of the first publishers to delve into guidebook apps. To say that Dave was a serious climber is an understatement. “Dave ‘s first favorite thing is a secret, his second favorite thing is bolting new routes,” he wrote about himself in his first Rifle guide. Rifle, and then Main Elk Canyon, were his loves, and he was one of those people you could find on the rock, in any weather, just about every day. 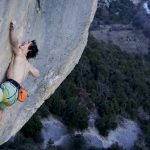 Dave was perpetually eager, always beaming about a project or near send even when his knees and shins were bloodied and scabbed—I never saw them any other way—from working kneebars. 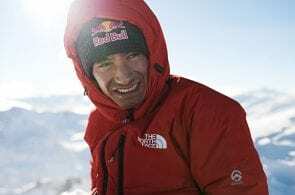 Dave became so obsessed that his wife Fiona penned a series of satirical articles for Rock and Ice and Ascent about him. 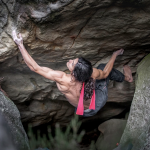 “ Very Serious Climber” or “VSC,” provided a rare glimpse of a spouse’s take on her climbing husband, and was a hit. You can read the first one here. 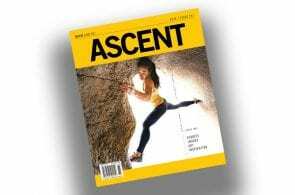 The last of that series, “Living With a Very Serious Climber,” was published in the 2014 edition of Ascent. Also this year, Dave signed on to this magazine as the Shoe Review Editor. We could always count on his wit and insights to punch up the reviews section, and often his words were among the best in the issue. I recall, sometime around 2000, when Dave was still at Climbing, when he turned in his travel expenses for reimbursement for an article he had written to the corporate office in New York City. Rather than itemize the costs, the happy-go-lucky Dave has simply submitted a lump sum with no detail. The corporation, Primedia, refused to pay him for lack of evidence. Rather than get angry, Dave, a mathematician by schooling, spent hours the following evening building an algorithm that neatly if randomly carved his expenses into various line items such as “food,” “travel” and “chalk.” He was promptly paid. Dave was 47. Cause of death has not been released.